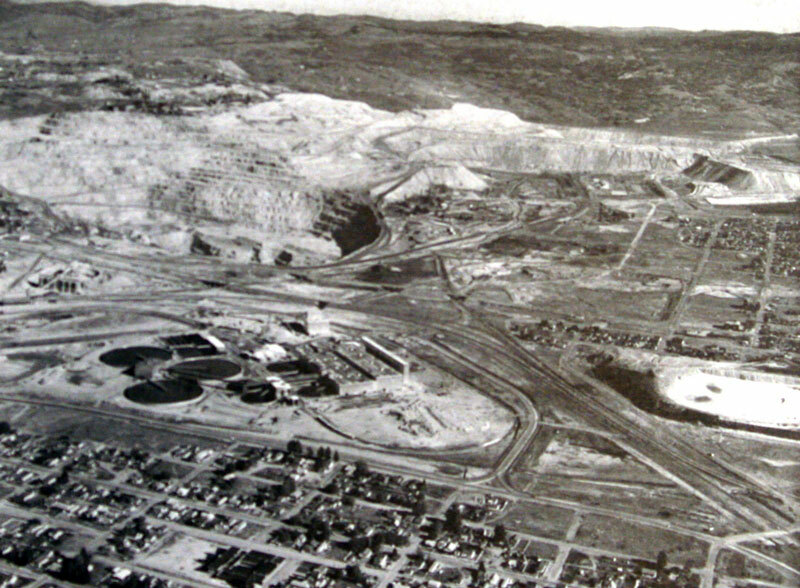 The Berkeley Pit in 1963, shortly after the construction of the Weed Concentrator seen below the Pit, with the city of Butte, Montana to the bottom and left in the photo. Over the active lifespan of the Berkeley, approximately 320 million tons of ore and over 700 million tons of waste rock were mined from the Pit. Put another way, “The Richest Hill on Earth” produced enough copper to pave a four-lane highway four inches thick from Butte to Salt Lake City and 30 miles beyond. The historic Berkeley mine in Butte, Montana, where the Berkeley Pit started in 1955. In 1955, mining in Butte saw the light, literally. Excavation on what would become the Berkeley Pit, named from one of several nearby historic underground mines that the Pit would later engulf, began that year in a transition from underground to open pit mining. 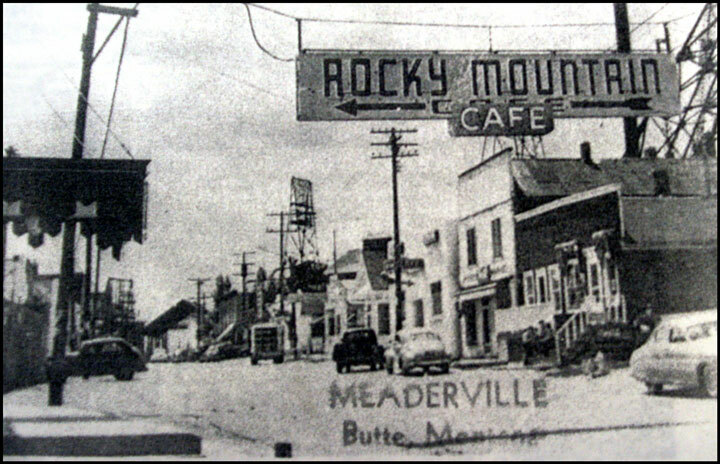 A street in Meaderville, one of the Butte neighborhoods destroyed to make way for Berkeley Pit expansion between 1955 and 1982. The Pit would, in the next decade, swallow Butte neighborhoods like Meaderville, Dublin Gulch, and McQueen. The transition to open pit mining, a highly industrialized form of mining, also meant fewer jobs for the city’s miners. 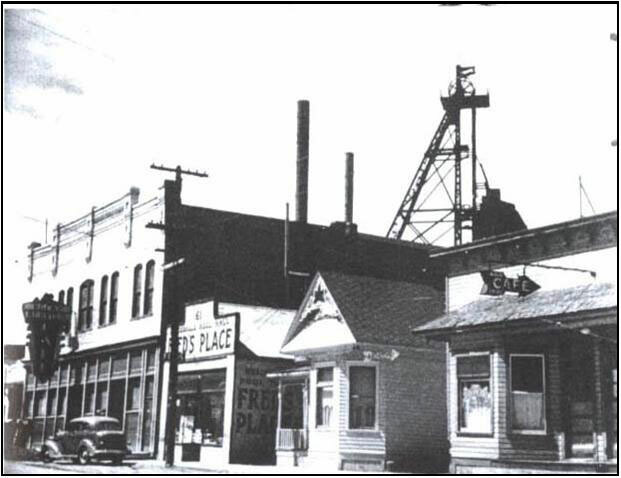 But mining had always been the lifeblood of Butte, and so the community embraced the new mine, and there was little objection to the sacrifice of some of the city’s neighborhoods. The Anaconda Company’s decision to begin open pit mining in Butte was not without its reasons. In 1955, copper prices were the highest they had been since the end of World War I in 1918. And the following year, 1956, would mark the highest copper price seen until 2006 (with the exception of the lone year 1974, when copper briefly spiked due to an end to price controls and the ongoing demands of the Vietnam War). 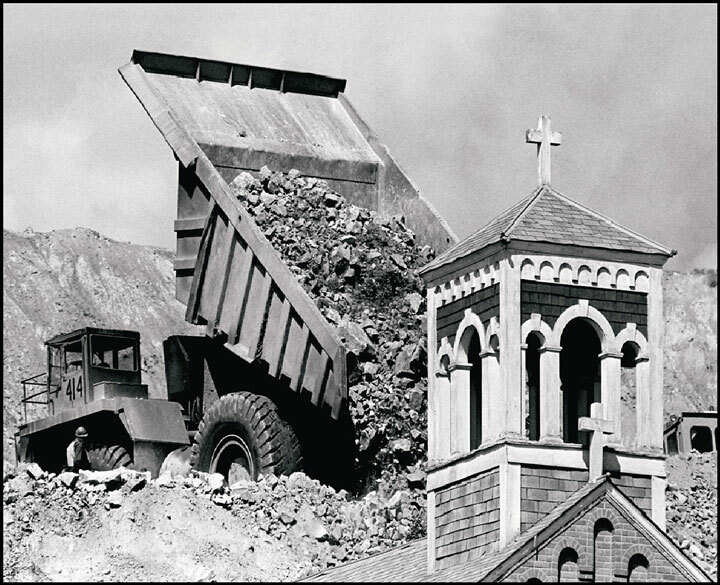 The Holy Savior church, along with several historic neighborhoods in Butte, Montana, was buried to make way for Berkeley Pit expansion. Those high prices gave the Company a big incentive to rethink its Butte operations. The most accessible parts of the Butte hill had already been mined out. Legend has it that Marcus Daly’s original ore vein was 30% copper. That is extraordinarily rich ore, and the veins of that quality could not last- as a point of comparison, when it opened, the ore mined at the Berkeley was about 0.75% copper, and the ore being mined at Montana Resources nearby Continental Pit operation today is approximately 0.25% copper. 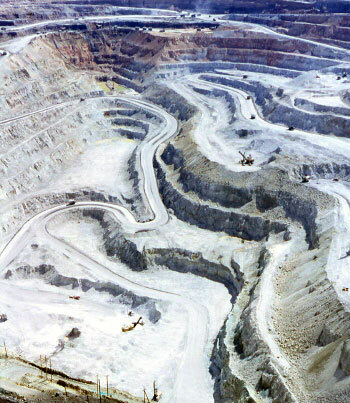 In order to economically extract copper from lower grade ore, the Pit was born.